Grand Lodge on Peak 7 - Breckenridge, Colorado! Bid Per 7 Night Stay in Your Choice of a Studio, 1 or 2 Bedroom Suite! Enjoy 7 Nights in a Studio, 1 or 2 Bedroom Suite at Grand Lodge on Peak 7 in Breckenridge, CO! 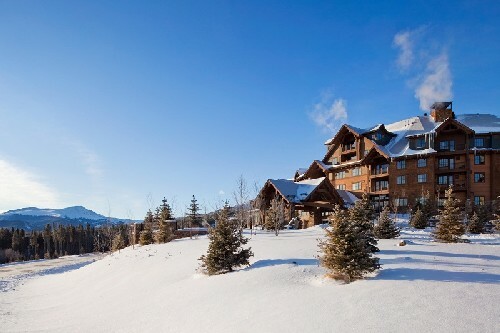 Grand Lodge on Peak 7 is one of the Breckenridge Grand Vacations resorts. In winter, it offers ski-in/ski-out convenience to Breckenridge Ski Resort, and in summer, access to hiking and biking. Accommodations feature granite countertops, hammered-iron fixtures, stainless steel appliances, private balconies, fireplaces, and flat-screen TVs. Amenities include an indoor/outdoor aquatics area with a zero-entry kiddie pool, slide, and hot tubs; a family games room, on-site dining, a grand lobby, and library. The Soothe Day Spa offers an adults-only, grotto-style hot tub with a moss-rock waterfall. The Grand Lodge on Peak 7 features the eclectic Sevens restaurant and the alluring Soothe Day Spa, as well as an après ski bar in the lobby, private movie theaters and a fully equipped Family Fun Center. Our concierge staff will help you experience all of the adventures that the Rocky Mountains have to offer. You can relax and rejuvenate in our exclusive, adult-only grotto, or soak in one of our outdoor hot tubs. Stay in shape using our indoor/outdoor swimming pool or take advantage of our state-of-the-art fitness center. At the Grand Lodge on Peak 7 you’ll find everything you need for a great vacation: a convenient and unparalleled location, enticing amenities, all of the comforts and convenience of home, and a staff eager to make your vacation simply perfect. Accommodations feature granite countertops, hammered-iron fixtures, stainless steel appliances, private balconies, fireplaces, and flat-screen TVs. Your Suite Elegant and refined, suites are the perfect size for a couple or a small family. Amenities such as a well-appointed kitchenette and functional living area combined with the convenience of our Front Desk and Concierge staff offer the perfect blend of resort convenience and all the comforts of home. The unit features 1 king bed in a separate bedroom, 1 queen sleeper in the living area and a full bathroom. Your 1 BEDROOM SUITE offers all of the comforts and amenities of a full size condominium including a fully equipped kitchen with stainless steel appliances, granite countertops, a dining room table, a gas fireplace, a large living room area and private balcony. The unit includes a king bed in the master bedroom and queen sleeper sofa in the living room. FOR ONLY $200 FOR THE ENTIRE WEEK! Your 2 BEDROOM SUITE is the perfect accommodations for your family or group of friends. A king bed in each bedroom and two queen sleeper sofas each in separate living areas provide ample space and maximum comfort for up to eight people. With a living room, dining room, fully equipped kitchen and an extra kitchenette, the Two Bedroom Residence offers incredible flexibility for your Breckenridge vacation. The day spa will be closed MAY 2-5, 2016 and the pool locker room closed MAY 2-13, 2016 for renovation. Related conditions, including noise, should be expected.